Have you ever questioned your path? Wondered if you had hidden talents or perhaps some underlying block to achieving your goals? Have you ever needed to look at yourself a bit more objectively, free from the voice of the inner critic or random, distracting thoughts? 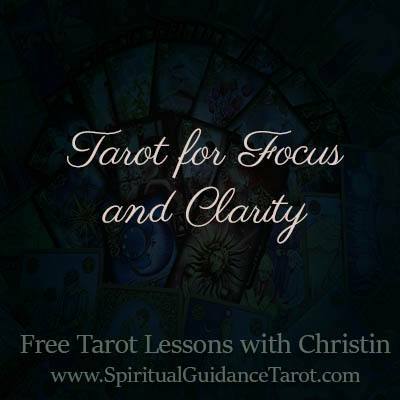 Fortunately, Tarot is a great tool for mental focus and clarity. When I do exercises like this with the Tarot I put them in my journal. For example, if I am hitting obstacles and not understanding why or seeing the full reason behind it; I will focus my intention and ask the Universe to give me guidance regarding the obstacles on my path and what I can do to overcome them. I would then select two cards, one representing external influences and obstacles and one representing those within myself. Place the cards side by side and then use your journal. At the top of the page write down the issue you are seeking clarity on. Beneath it, list the two cards side by side and underneath each card list the lessons that card is presenting you. For example, let’s say you drew a Wheel of Fortune reversed for your personal challenge card, you may want to consider that you are resisting change or that you don’t trust where you feel you are being led. A reversed wheel in regards to personal challenge tends to indicate resistance and trust issues. The same card in the external challenges position may be telling you the time isn’t right just now to proceed, or perhaps you need more information or preparations before moving forward. Each card will vary depending on if its focus is external or internal. This can also be a very useful practice for the pros and cons of a choice. We all have those times in life when we face difficult decisions. It can be hard to attain clarity without taking time to sort out our thoughts and feelings. Pull two cards for each choice, one representing the pros and the other cons. Write the results and your thoughts in your journal. Reflecting on these can lend great insight and help you feel more at peace with your decision. When you are feeling a bit lost on your path, or wanting to do something and are unsure of what to pursue, the Tarot is a great way to seek out “hidden talents” and new ideas. This requires a very open mind and heart because it often leads to surprise answers. When you face situations like this ask the universe for help in discovering new creative avenues to direct your energy. Pull a card and focus on the positive qualities in that card. What talents and strengths does this card represent? How can you begin to implement those in your daily life? Perhaps you’ll be led to a new hobby or class. You may find it even inspires you to a whole new career path, especially if you have been working in a field at odds with your soul purpose. 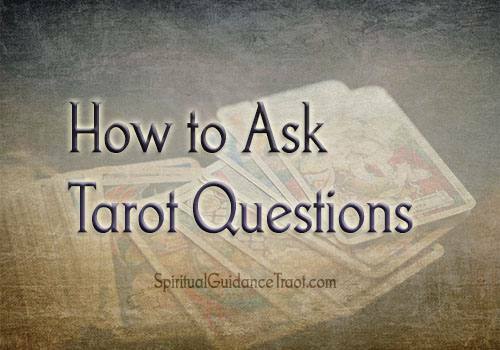 Tarot is also useful for looking a bit deeper into your soul purpose. Every person is here to grow and learn through experience. Sometimes in life when we aren’t living up to our fullest potential or having all the experiences our soul longs for, a feeling of “something missing” begins to manifest. When this happens, allow the universe to guide you through Tarot imagery. Use your journal and draw a card that represents what is missing, then record what that card is saying to you. Sometimes the answers seem to appear like magic, other times it may take some hours or even days of personal reflection to make sense of the messages you have received. For this reason, a journal is a great way to revisit and further contemplate the message.